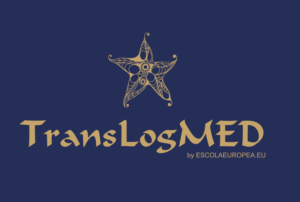 The main objective of Translogmed is to train people able to develop door-to-door supply chains based on MOS lines between Mediterranean ports. The Action was started as MOS MAGREB project by the 2e3s partners in 2016. Endorsement by the UNION FOR THE MEDITERRANEAN is being submitted. The countries involved in the first phase of the project are: Spain, Italy, Morocco, Tunisia and Algeria. Egypt and Jordan are to be included later. The Escola Europea de Short Sea Shipping will be in charge of the contents of the training, and has already developed the course calendar and arranged the technical specifications of the courses. The long-term objective of this project is to foster the development of MoS between the Mediterranean countries, which will in turn help promoting inclusive growth and youth employability, as well as sustainable development in the region. Creating a knowledge network as the activities become regular, together with a best practices exchange platform including experts from both Northern and Southern Mediterranean countries. Objective: to create awareness about the Motorways of the Sea and intermodality and introduce the partners’ services. The development of the markets will be progressive. Public administration, logistic operators, training centres teaching transport & supply chain contents, SMEs and large companies dealing with national and international transport and distribution and media related to economy, logistics, transport and infrastructure. The conferences shall consist of two or three presentations followed by a panel to close the session. The total duration is half day with coffee break and eventually light lunch. Representatives of the UFM and local authorities are expected to participate as speakers and so are all the partners. Likewise, all partners are expected to participate actively in the preparation of the conferences through their local partners. The main local stakeholders (Ministry or equivalent) should participate as part of the organisation. All economic, transport, port and logistics specialised press shall be invited. Diplomatic representatives from Italy and Spain will be invited. Objective: to provide the participants with the necessary knowledge and skills to understand and make an efficient use of the multimodal transport services, specifically short sea services, within a wide comprehension of sustainable logistics. Professionals of the public and private sector, graduate and post-graduate (master) students. Barcelona course type A: course starts/ends in Barcelona, including 4 day trip to Italy plus 1 day in Barcelona. Barcelona course type B: course starting in Tangier and ending in Barcelona.